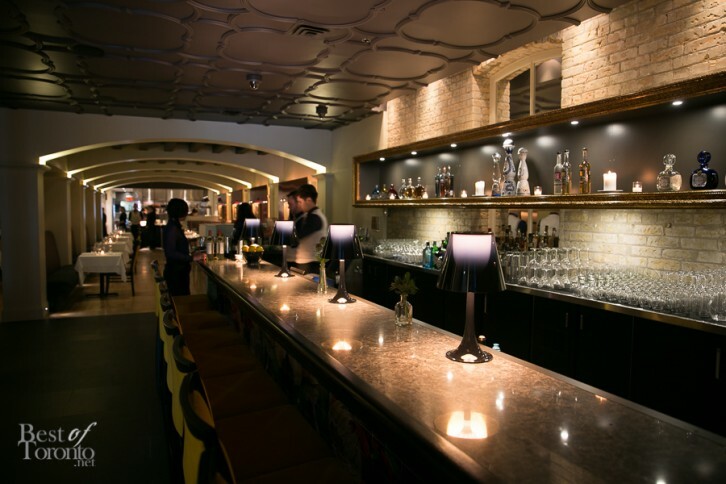 Newly opened at King St West, Los Colibris boasts the title of the first upscale Mexican restaurant in King West. Sitting above the Mexican tequila cantina, El Caballito (also new since earlier this year), at 220 King St. West in the same building, is this new sister restaurant. Taking over this highly-coveted location most recently from Barootes restaurant, Los Colibris spans 3,500 square feet and features two private dining rooms that seat 12 and 50 respectively – each allowing for both intimate private dining and private event experiences. Renovations were made by Douglas Design Studio and the Mazenga Group contractors to create an elevated Mexican dining experience. Here’s a sample of some of the menu items available at Los Colibris by executive chef Elia Herrera, originally from Veracruz, Mexico. Herrera worked closely with general manager/sommelier Marissa Kelly and together they aim to create a dining experience unique to Toronto’s Mexican cuisine offering. 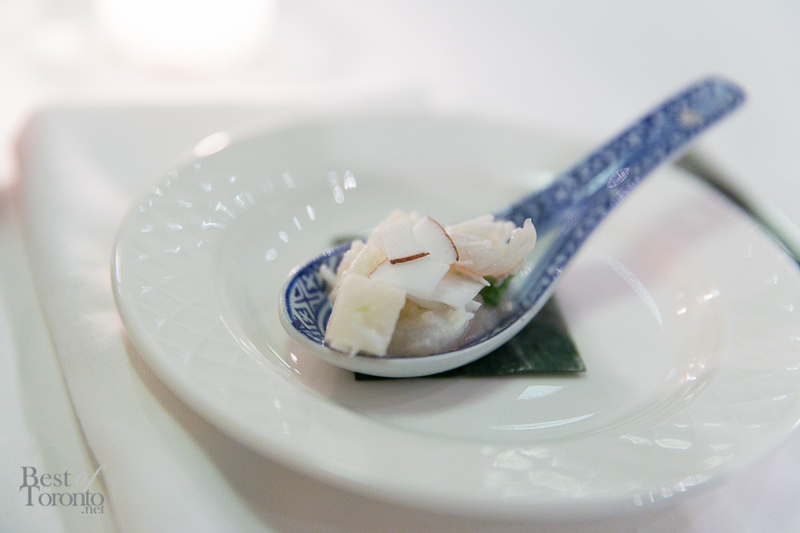 The “Ceviche Blanco” was a welcome and refreshing start with coconut. You can’t ever go wrong with shrimp, so the “Camarones a la Diabla” is always welcome at my dinner table. 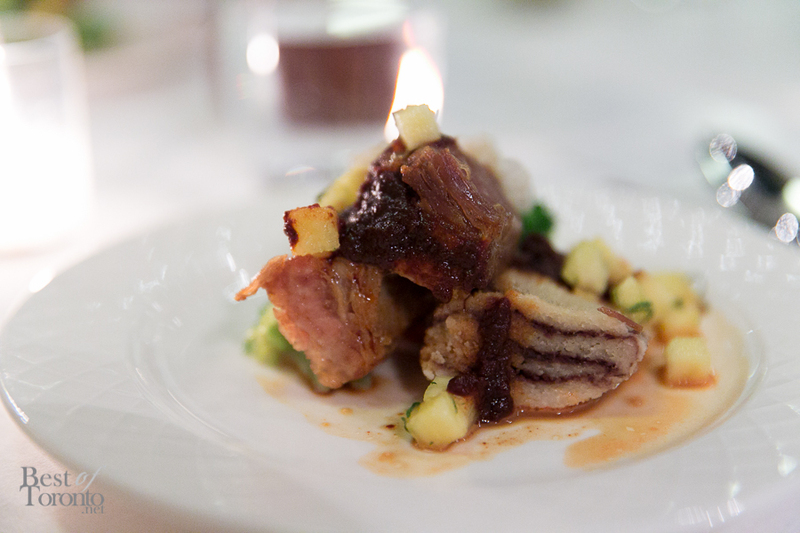 My favourite was the Cerdo en Manca Mantel as I am a total sucker for pork belly. 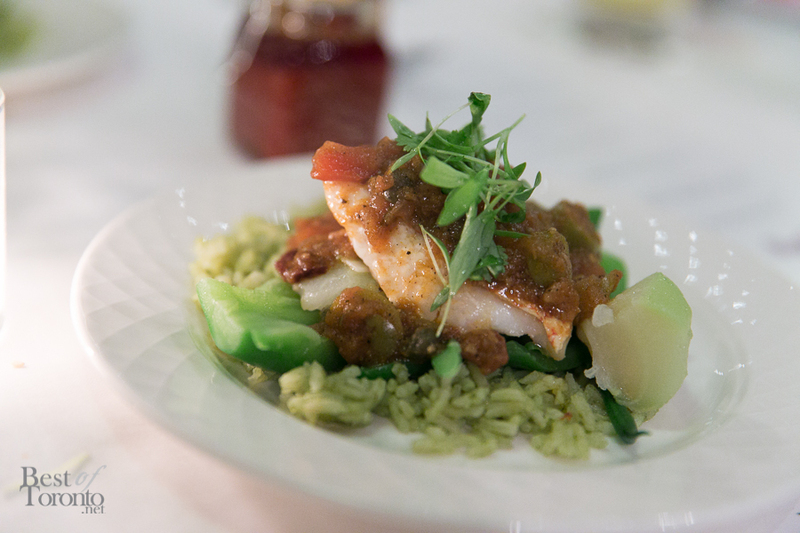 This comes served with adobo sauce, black bean tamal, pineapple salsa and broccoli. Full of deliciousness. 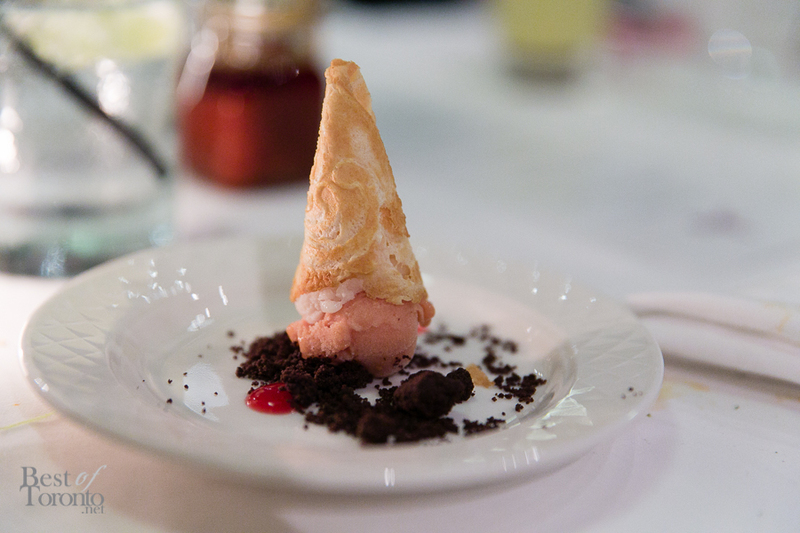 Even the dessert is a nice touch for dessert. Also, coming this summer Los Colibris and El Caballito have plans to open a 1,800 square foot patio that can seat 100 with a dedicated patio bar and a make-your-own-taco station. Los Colibris is located at 220 King St. W. (between Duncan and Simcoe streets) and open Monday through Saturday from 11:30 a.m. until 10:30 p.m. and closed on Sundays. Menu offerings include the usual lunch, dinner but they also have a dessert menu and a fixed pre-theatre menu available – perfect for hassle-free dates before the show starts nearby at Mirvish, TIFF Bell Lightbox or even Roy Thompson Hall. It’s all conveniently just steps away. Book a reservation online or get more info at www.loscolibris.ca or by calling 416 979 7717. 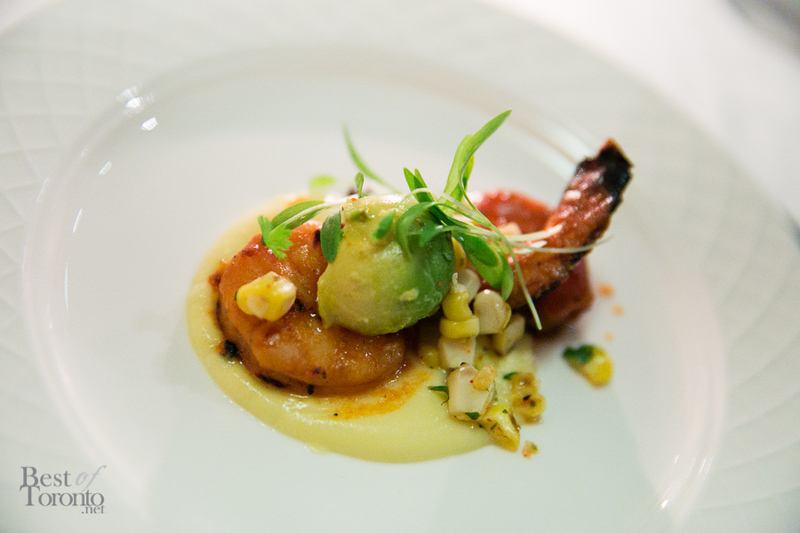 You can also get a taste of Los Colibris and El Caballito at the upcoming Taste of Toronto culinary festival.